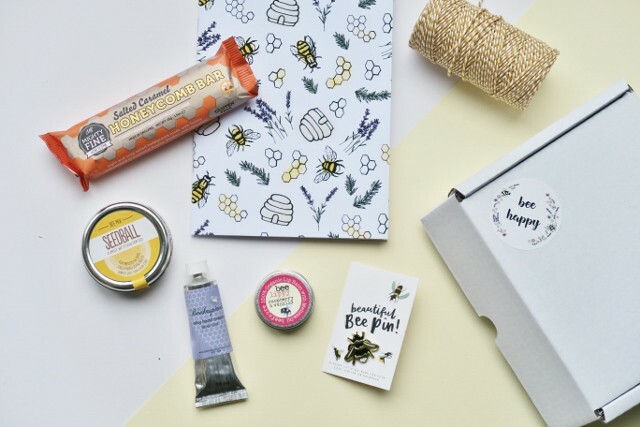 Nectar & Bumble are a brand new monthly subscription box which is from the online lifestyle & natural skincare retailer of the same name. Created out of a love and passion for bees, this new box is entirely themed around these beautiful creatures which are absolutely vital to our eco-system and way of life. 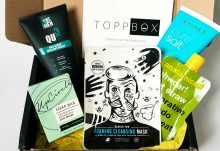 So what can you expect from the Nectar & Bumble box? 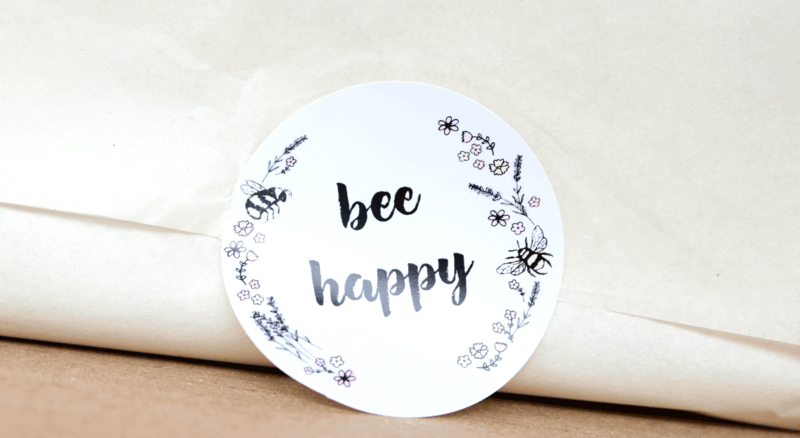 Each month, subscribers will receive a beautiful surprise selection of bee-themed products which can include products such as stationery, candles, jewellery, natural skincare, sweet treats and more. Nectar & Bumble work with a range of small businesses and local artisans, so this box is a great way to support independent companies and smaller brands, plus Nectar & Bumble donate 10% of their profits to charities in the UK who are dedicated to helping to save bees. As this is their debut box, I wasn’t sure what to expect, but I love it! The box is quite large and was wrapped in tissue paper with a sweet ‘Bee Happy’ sticker. Inside, the contents were protected with bubblewrap (for the more delicate items) and lots of paper cushioning, so everything arrived in perfect condition. Let’s see what I found inside! 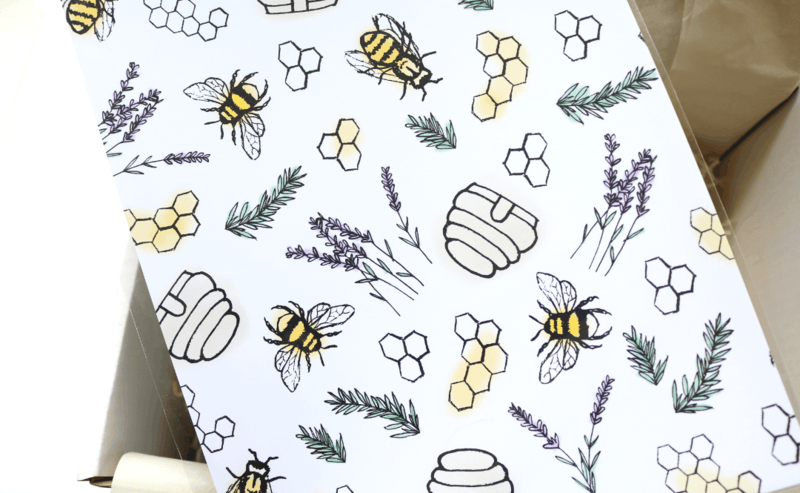 First up, there’s a lovely A4 sized Honey & Bumble Print which would look great framed. I’m currently sorting out my office room at the moment and this would be perfect on one of the walls in there. 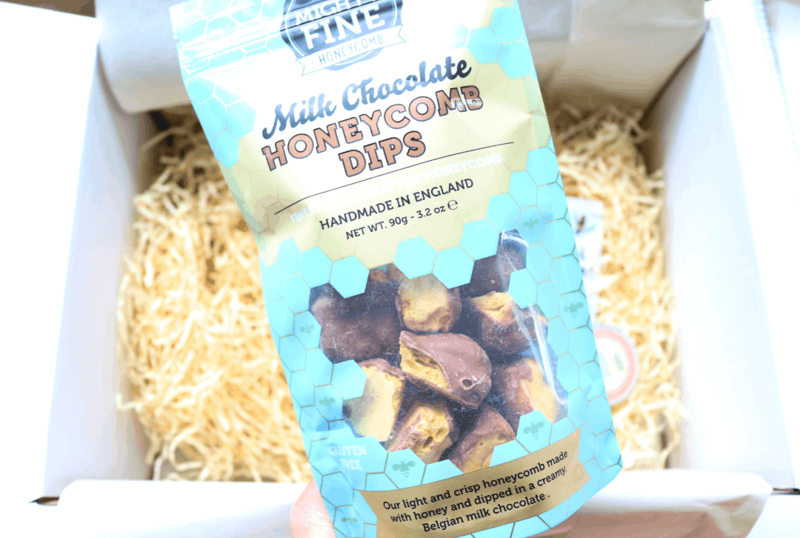 Naturally, my sweet tooth was immediately attracted to this generously sized bag of Chocolate Honeycomb Dips from the company Mighty Fine. 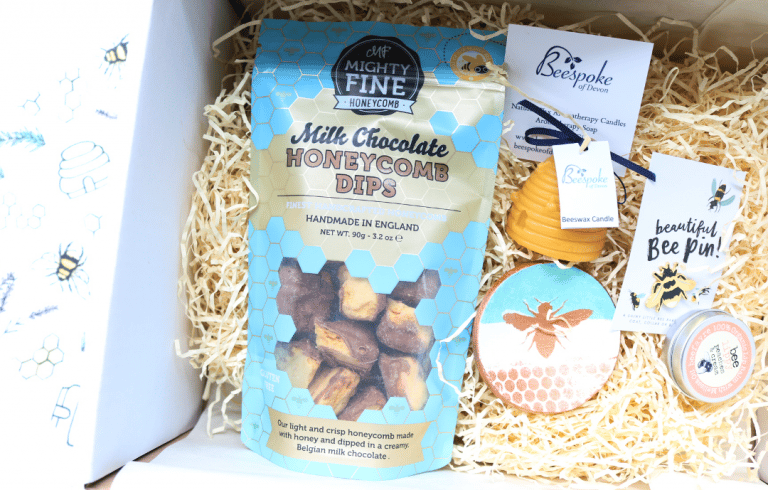 These bite-sized pieces of honeycomb have been dipped in Belgian Milk Chocolate for a deliciously decadent sweet treat and they’re absolutely moreish! 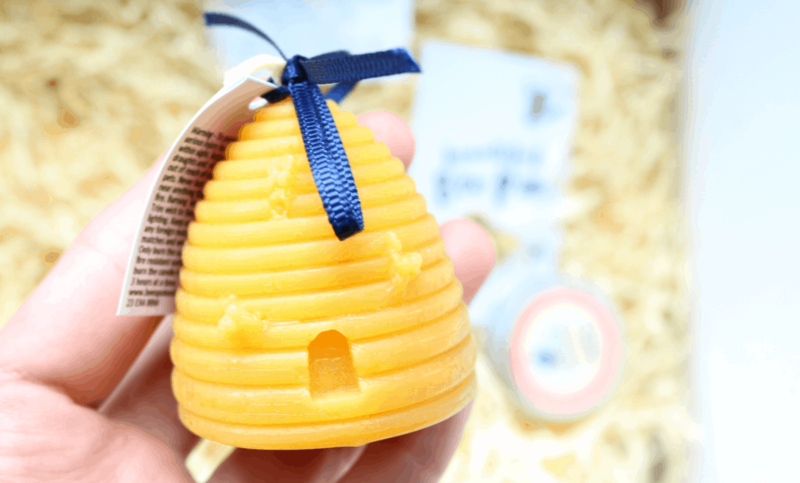 How cute is this little beehive shaped candle?! Handmade by Beespoke of Devon, this candle has been created entirely out of pure natural beeswax which gives them a beautiful natural colouring and delicate fragrance. I can’t wait to light this, it’s so adorable. 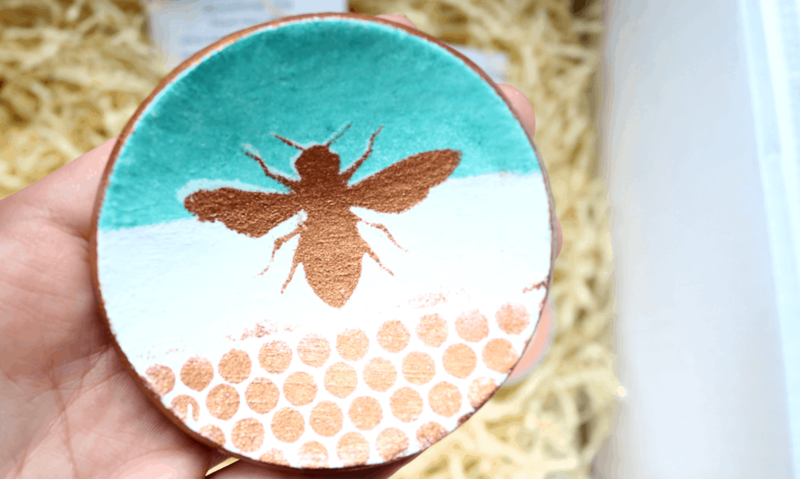 A special exclusive just for Nectar & Bumble subscribers this month, this delicate handcrafted Ring Dish features a pretty bee design and pattern. Perfect for storing your favourite rings and small accessories. 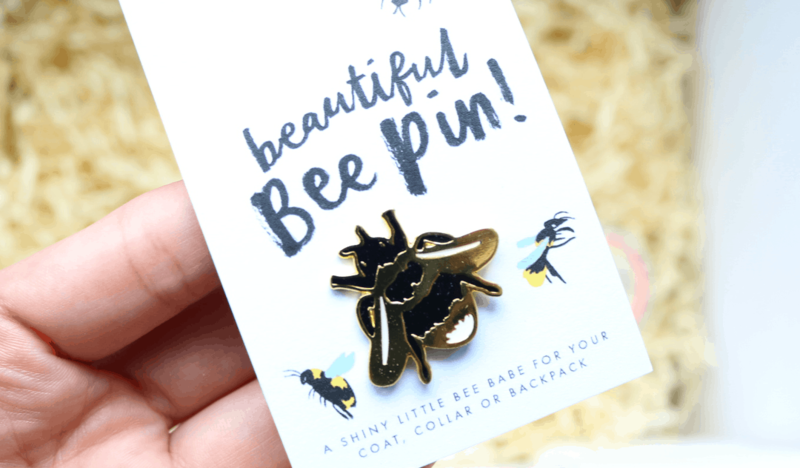 Next, I found a Annie Dornan-Smith Bumblebee Pin which has to be one of my new favourite things ever. I love pins and have a large collection of them, but I didn’t have a bee until now! The quality is fantastic with a shiny gold and black design. I’m utterly smitten with it! 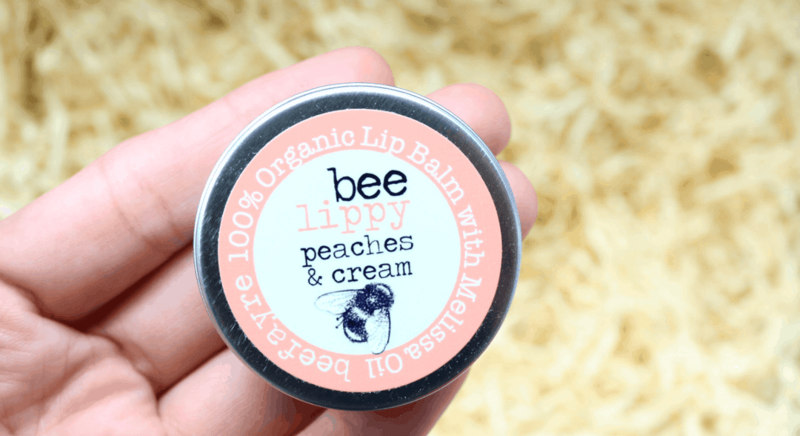 The last product is from Beefayre and this is their delicious Peaches & Cream Lip Balm. Made from 100% organic ingredients, it uses an all-natural blend of Shea Butter, Sunflower Seed Oil, Beeswax, Jojoba Oil and Hemp Seed Oil to keep lips nourished and soft. I'm so impressed with the first Nectar & Bumble box and love the variety of bee-themed products inside! 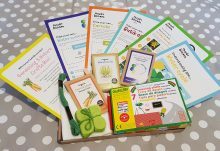 The contents of this month's box are also worth over £34 so you're getting great value for money too. How would you rate Nectar & Bumble ?